What Does “It Can Wait” Mean? But what does it mean? And where did it begin? “It Can Wait” began as a safe driving campaign in 2010, launched by AT&T. Distracted driving was on the rise, and the number of distracted driving-related injuries and deaths were rising with it. The main source of that distraction? Texting while driving. As one of the nation’s top wireless carriers, AT&T wanted to promote safe driving habits and raise awareness about the dangers of texting while driving. Thus, the “It Can Wait” campaign was born. It gained popularity on social media using the hashtag #ItCanWait. AT&T also encouraged drivers to pledge not to text and drive, with celebrities endorsing the pledge. Although it began as a corporate-sponsored campaign, “It Can Wait” has become a movement of its own. The message is simple: Do you need to send or read a text while driving? It can wait until you reach your destination. In other words, don’t text and drive. If the situation is urgent, find a safe place to pull over before picking up your phone. Why is texting while driving so dangerous? It involves three types of driving distractions: 1) manual, taking your hands off of the wheel; 2) visual, taking your eyes away from the road; and 3) cognitive, taking your mind off of the road in front of you. 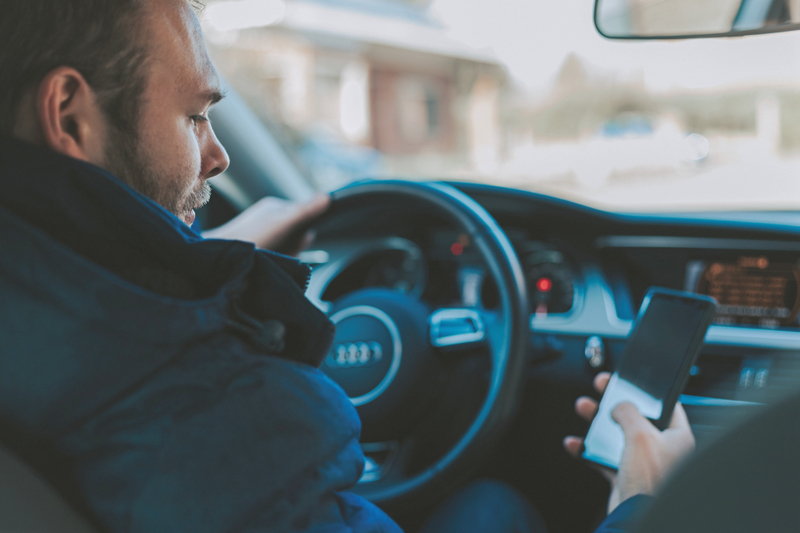 According to the Center for Disease Control and Prevention, an estimated 9 people are killed each day in the U.S. as a result of a distracted driver. In 2016 alone, the National Highway Traffic Safety Administration released that 3,450 people were killed in an accident due to distracted driving; 391,000 people were injured in a distracted driving accident in that same year. Even the shortest text is a serious risk. If you look at your phone for 5 seconds while driving 55 mph, by the time you look up, you’ll have traveled 100 yards – the length of a football field! Studies by the Virginia Tech Transportation Institute suggest you are 3 times more likely to be involved in an accident when distracted by a cell phone while driving. Texting while driving isn’t simply unsafe; in Arkansas, it’s illegal to text or use social media while operating a vehicle. Learn more about Paul’s Law and other laws governing cell phone usage in our recent post: Cell Phone Laws in Arkansas. U Text. U Drive. U Pay. A similar campaign known as U Text. U Drive. U Pay. was started by NHTSA and local law enforcement agencies to combat distracted driving. While different words, they carry the same message: “to remind Americans that distracted driving is deadly and illegal.” To find out more about the campaign and how to be involved you can visit their website HERE. If you’ve been in a wreck because another driver was texting and driving, you may need a personal injury attorney. You may have legal rights to compensation for your injuries, and Taylor King Law can help. We’ll act quickly to get the distracted driver’s phone records and ensure you’re taken care of. To begin your FREE case evaluation, call 1-800-CAR WRECK (1-800-227-9732) or submit a case form online at www.taylorkinglaw.com. Our statewide team will be On Your Side, By Your Side.